Marabella Vinegar is late for her therapist appointment—thanks to her mother. Normally, this pain in the tookus would be par for the course. After all, most of Marabella’s sessions are spent addressing her relationship with said relative except, Mama Vinegar died. A week ago. 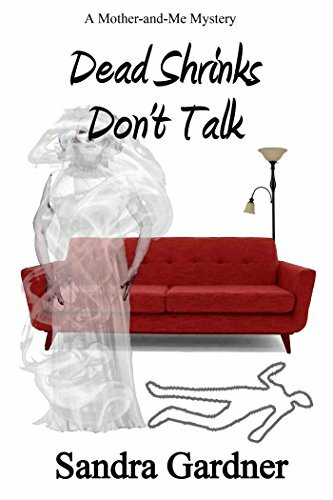 After tucking her not-so-dead mother in for a nap on the couch, apparently ghost travel is taxing, Marabella rushes to Dr. Ditstein’s office anxious for answers. None are forthcoming because she finds her supportive shrink murdered. Any guess who is the prime suspect? 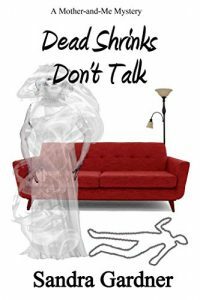 Marabella’s ambivalent relationship with her mother is captured perfectly by the author. Mom drives her nuts. But she loves her. But she drives her NUTS. The balance is perfect. I “get” both characters and am sympathetic. I’m a big mystery series fan, but one of my complaints is that, in some cases, the main character doesn’t grow. I can’t say this for Marabella in Dead Shrinks Don’t Talk. Happily, Marabella is adaptive and determine. She is a flawed character that you can’t help but root for because, aren’t we all flawed? And, fyi, she solves the mystery. Let’s hear it for Team Marabella! A wonderful read and I can’t wait for more from this author.